Good morning our National media. Would you please help me recover my money from investrust bank? I lost k6000.00 in 2017 through careless system for investrust bank. Am a government worker ,working under ministry of local government in Northern province ,Mungwi town council. 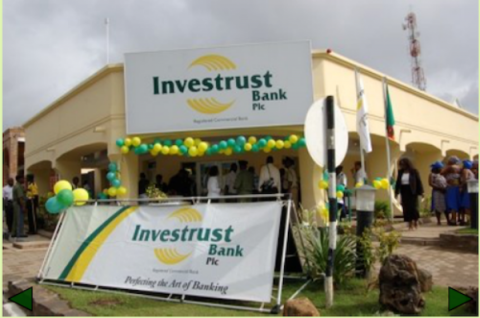 So the transactions were being done in Lusaka at investrust main branch near kulima tower. I received a notification for waiting to cash out while I was in northern province ,I thought may its just a system error because I didn’t request to cash out . But surprisingly k2000.00 was withdrawn from ATM machine at the said branch in Lusaka while I was in northern province kasama. ( I stay in kasama but work from Mungwi). After sometime again I received another cash out request. A further k2000.00 was again withdrawn from the same branch. A third request was again sent ,this was now around 2o:30hrs .Until I switched off my phone because of the panic ,this how I stopped receiving cash out requests. Very early the following day I reported the case to kasama central police anti fraud unit to a Mr Chipango where a docket was opened. I also reported to the bank investrust. The bank responded by disabling my account on the mobile platform and promised to carry out the investigation together with the police. After a week a Mr malipenga from investrust bank security section called me to go to Lusaka to view the footage of the person who was withdrawing money on the said dates and time maybe I could know. I traveled to Lusaka from kasama viewed the footage but I couldn’t know the person who was withdrawing my money. We contacted the police through Mr Chipango in kasama ,who requested to be sent the video for his investigation which was done.But from that time to now no tangible results have come through from both the bank en police. When all was happening I even decided to close my account and transfer my money to zanaco because I suspected to be an inside job ,so I might lose all my money in the long time as my account was not safe at all.My full name kelvin kayombo kalama .0977463398 this is the same number which was connected to my account .